For the past week, I have been in the province of Alberta – the one in Canada – doing some fieldwork on a couple of bushfire (or, here, ‘wildfire’) projects. The first is an extension of a previous project funded the BNHCRC, involving case studies of areas where natural hazard management agencies have used science to reform how they measure and manage risk. One place we looked at previously, for example, was the Barwon-Otway area in southwest Victoria – the one in Australia – where bushfire managers were using a computer program that simulates variously severe bushfires in order to: a) map the level of ‘risk’ out there in the landscape, and; b) understand how things like prescribed burning were impacting that risk (or not). Now, thanks to some funding from the Alberta government, some colleagues and I are working with wildfire managers in Lac La Biche and Edmonton, discussing how they are attempting to do something similar by mapping ‘wildfire hazard’ (meaning: the potential for fire) against ‘values and assets’ (meaning: things deemed publicly important) in the Lac La Biche Forest Area. In both of these cases, as in others we have studied, what may look like a technical exercise in dry calculation is actually also a political and social exercise, where practitioners improvise and make choices about what can be measured, what should be measured, and whose opinion matters. To revisit some Ranciere, it’s a matter of what counts and how it is made to count. Lac La Biche County, to put it briefly, is a frontier of oil, timber and pastoral extractivism. The northern and eastern part of county are dotted with large oil sands projects, tapped into the Athabasca and Cold Lake oil fields using the steam-assisted gravity drainage (or ‘SAGD‘) process (some photos of projects here). First surveyed in 1848, there was no mining of these sands until 1967 and prospecting and extraction did not really ramp up until the 1980s, and then again after 2001. As Lorna Stefanick points out, events such as Nigeria’s civil war, conflict in Iraq, and hurricanes in the Gulf of Mexico helped turn ‘previously prohibitively expensive’ energy options like oil sands into ‘an attractive alternative’ to oil from the Middle East and elsewhere. Development of the oil sands was aided, too, by the perception in the USA that Albertan oil was both ‘domestic’ and (comparatively?) ‘ethical’ (for more I suggest Shrivastava and Stefanick’s OA collection, and Laurie Adkin’s collection). Now, Alberta is a ‘petro-province,’ with approximately 30 percent of its GDP, 70 percent of its exports, and over a third of government revenue coming directly from the oil and gas sector. What does this mean for wildfire management? For one, it means that there is an enormous amount of above-ground private infrastructure weaving through the forests of Lac La Biche County, much of which has been built in the past decade. Second, these same forests are now host to an enormous but ephemeral workforce, sweeping in to build new pipelines and then sweeping out, leaving only very small maintenance crews. Whereas Lac La Biche County has an estimated resident population around 9,000 people, just one SAGD project ‘workcamp’ (as they’re called) can be as large as 16,000 people or, at another moment, a few hundred people. These camps can be self-contained towns – with post offices and transnational chains such as Starbucks – their populations expanding and contracting with the pulse of international oil investment. Unsurprisingly, it is very hard for others – such as wildfire managers – to know at any one time how many people are present, and therefore how many lives are at risk in a given wildfire event. This is in some ways a data problem, as it is possible that in some future system wildfire managers would have better surveillance of their populations. But there is a more subtle political question here, which is about the extent to which these camps are ‘public’ assets, worthy of protection by government agencies? The 2016 Fort McMurray fires, north of Lac La Biche County, interrupted extraction from the Athabasca field, with an estimated financial impact somewhere in the region of CAD$10 billion (roughly 3-4% of Alberta’s GDP). Given the potential financial impact of a major wildfire, and that Alberta’s oil economies are widely understood as a ‘public good,’ the big question is where should wildfire agencies place these camps in amongst their many priorities? Below, the Lac La Biche Fire Centre. 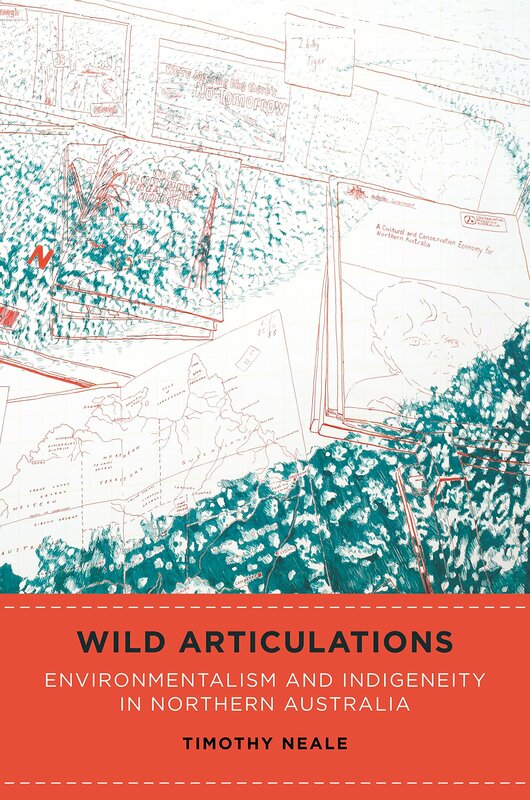 A few weeks ago I had a conversation with my friend Joseph Nunweek about Wild Articulations, or ‘about the book’s origins, approaching a deeply local matter as a transplanted Kiwi, and knowing when to stop’. The Pantograph Punch, for those who do not know it, is a great Aotearoa-based arts and culture website that also puts on various events from time to time. As it says at the end of the piece, if you’re in Melbourne, you can head to the book’s Melbourne launch at the Institute for Postcolonial Studies in North Melbourne on Tuesday 8 April. It’ll feature a panel discussion with myself, Chris Healy, Cameo Dalley and Jon Altman.